State Senators Bob Gordon and Loretta Weinberg are deeply concerned that Christie’s administration failed to submit a disaster resilience grant application to the federal government which would have empowered HUD to give us hundreds of millions of dollars they had earmarked to help New Jersey residents. For New Jerseyans, who suffered more heavily from the ravages of superstorm Sandy than the residents of any other state, last month’s announcement of federal disaster resilience grants by the U.S. Department of Housing and Urban Development hit like a nor’easter. Of the $1 billion being awarded by HUD in Natural Disaster Resilience Competition grants, a minimum of $181 million had been set aside for New Jersey and New York thanks to the hard work of our congressional delegation. That’s why it was so shocking when New Jersey received just $15 million. New York City and New York State received a total of $212 million, but New Jersey ranked 14th on the grant list, just ahead of the city of Springfield, Massachusetts. The last time we looked, Springfield didn’t have much of a coastline. The state’s failure is just the latest example of New Jersey coming in way behind New York in obtaining federal aid to rebuild after superstorm Sandy. New York City and New York State received $8.6 billion in Community Development Block Grants — twice as much as New Jersey’s $4.2 billion — and the $1.7 billion we received in Federal Emergency Management Agency grants is dwarfed by the $7.7 billion that went to New York. That is why Senate President Stephen Sweeney asked our Senate Legislative Oversight Committee to open hearings on why New Jersey has consistently failed to obtain the funding needed to protect residents from Bergen County to Cape May from the ravages of coastal and inland flooding, and on what we should be doing to protect the state against sea-level rise and climate change. Our first hearing earlier this month started to get some answers, and we will have a fuller understanding when officials from HUD, the state Department of Environmental Protection and the Rockefeller Foundation, which was retained by HUD to advise applicants, appear before the committee at a future hearing. Several witnesses … raised questions about what New Jersey chose to include and not include in its application, including a bus station in the Meadowlands. This is not a partisan issue. As Republican Sen. Joseph Kyrillos, who represents the Monmouth County Bayshore that suffered some of the most severe damage from Sandy, said at the hearing, it is the responsibility of the Legislature to hold federal and state officials accountable. What we learned so far is just the beginning of that process. We already know that HUD Secretary Julian Castro said New Jersey received less funding not because the state did not have great need for storm resilience projects, but because our application was weaker than most other states. In fact, we just made the minimum cutoff to receive any funding at all. While most winning applicants identified significant matching funds and were working closely with regional nonprofits on climate change initiatives, New Jersey received just 1 point out of a possible 10 for “leveraging” other funding. Furthermore, we also got marked down on “scalability” for failing to present proposals that could be implemented even if we only received partial funding. We need to find out if the state received adequate feedback from HUD and the Rockefeller Foundation that deficiencies in our proposal could jeopardize our chances to win the needed funding. But there are clearly questions at the state level as well. 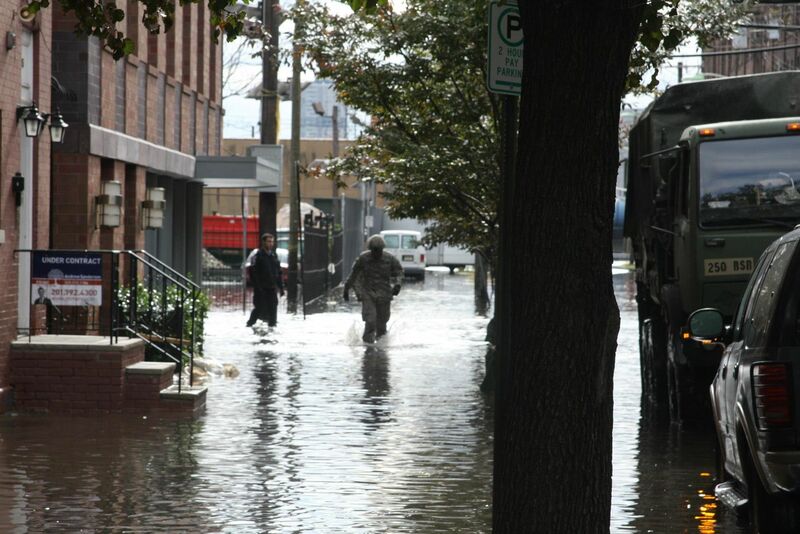 New Jersey’s two main proposals were for a $231 million grant for construction of a berm and pumping stations to protect towns in the Meadowlands from flooding and for a $75 million satellite bus garage in Secaucus. What our initial hearing showed was that the Meadowlands berm project was controversial — and indeed was opposed by environmentalists. And, as we pointed out, a proposal for a $75 million bus garage seems less like a proposal to protect the Meadowlands against climate change than an attempt to get the federal government to pay for a new bus garage because the Transportation Trust Fund is out of money. The most disconcerting part of the hearing was the heart-wrenching testimony by Monmouth and Ocean County Sandy survivors who rightfully questioned why New Jersey did not apply for any funding for projects to protect homeowners in the Jersey Shore counties that sustained the lion’s share of Sandy damage. Questions also were raised about whether New Jersey’s reluctance to embrace climate change gave HUD “political reasons” to deny our application. While New York State has developed a comprehensive mitigation and adaptation plan, is mapping for climate change and sea-level rise, and is increasing its green building and energy efficiency standards, New Jersey is the only state bordering either the Atlantic or Pacific Ocean that does not have a plan to deal with climate change and sea-level rise. As a coastal state that relies so heavily on tourism to drive our economy and boost state revenues, we cannot afford to ignore the challenges posed by climate change and sea-level rise, and we certainly cannot afford to lose out on federal grants designed to protect our citizens against the ravages of future megastorms. We need to know why we fared so poorly on federal Sandy grant funding, and we need to know how we can do better in the future. The victims of Sandy deserve no less. Sen. Bob Gordon, D-Bergen/Passaic, and Senate Majority Leader Loretta Weinberg, D-Bergen, serve as chair and vice-chair of the Senate Legislative Oversight Committee.